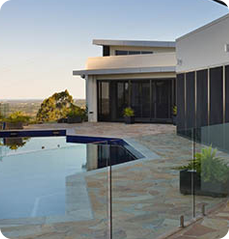 Stylish Secure Protection from the Elements & Unwanted Intruders ! Security Doors & Screens, Invisigard Stainless Steel Mesh, Alugard Aluminium Screening, Roller shutters, Escapes Security Screens, Louvers, Aluminium Slat Fencing, Fence Enclosures, Patio Enclosures, Privacy Screens, Shutters, Gates. Security Co Geraldton in the Midwest is your local supplier. 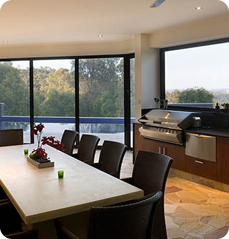 Geraldton manufacturer, Security Co custom makes doors and screens that will give you a peace of mind that your home and loved ones are safe and sound. 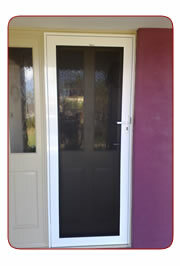 Security Co has a selection of security doors and screens to match the needs of the area's climate and its people. With the latest technology Security Co has created the strongest security doors and screens not only in our region but across WA. With a variety of features, choice and benefits, nothing comes close. New to our region is our INVISI-GARD and ALU-GARD no grille range. With clarity of vision and uncompromising strength, our range is second to none. Security Co's outstanding quality and prices are truly affordable. Security Co manufactures Eurowood gates and fence/Infills and patio enclosures. 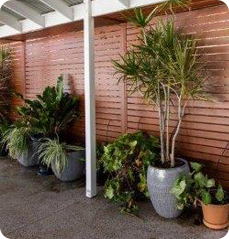 Eurowood is a quality aluminium panel product that is low in maintenance and designed to enhance the appeal of any outdoor décor. 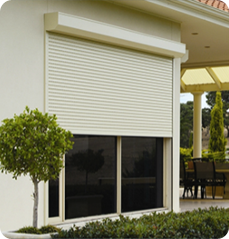 more..
Security Co are now suppliers of Roller Shutters giving Quality protection for your home. More control over UV Rays. more..